The latest edition of the UK Cache Mag has just dropped through our letterbox and it is brimming with useful and i nteresting stuff. If you are visiting the big island anytime, this mag gives you some top ideas to make the most of your geocaching trip. This month there are lots of regional features and details of this year’s trip to North Wales for what looks like a fantastic Halloween weekend of events. There are features on geocaching with children, caching in the USA, extreme caching, church micros and much more. TFTC = Too Flabbergasted To Comment – the comment left when the experience of finding the cache, the view at GZ, the ingenuity of the container and the cleverness of the hide have rendered the finder utterly speechless, even by typing. This is the most prized of all logs to receive as CO.
AMMO Can = mythical cache container rarely used these days, akin to finding the Holy Grail but that the previous finder couldn’t close properly. 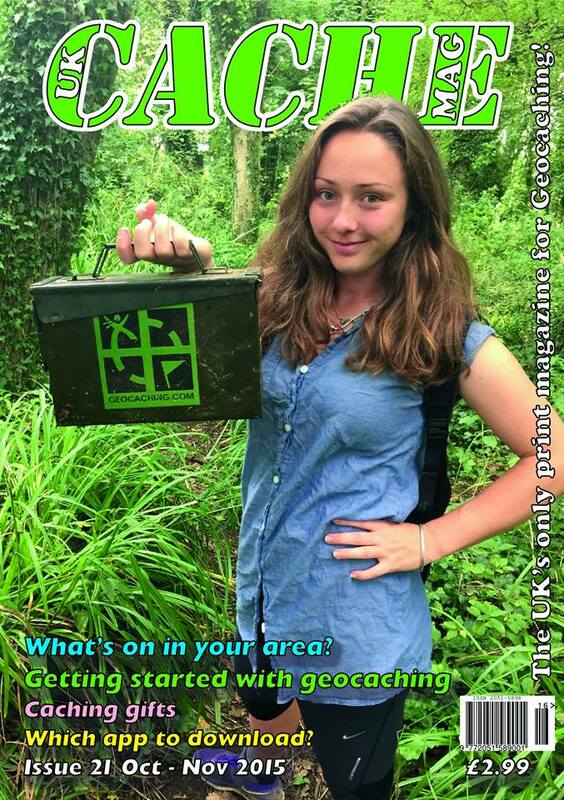 The UK Cache Mag is only £2.99 and is available from their website either delivered to your door or online in digital form.